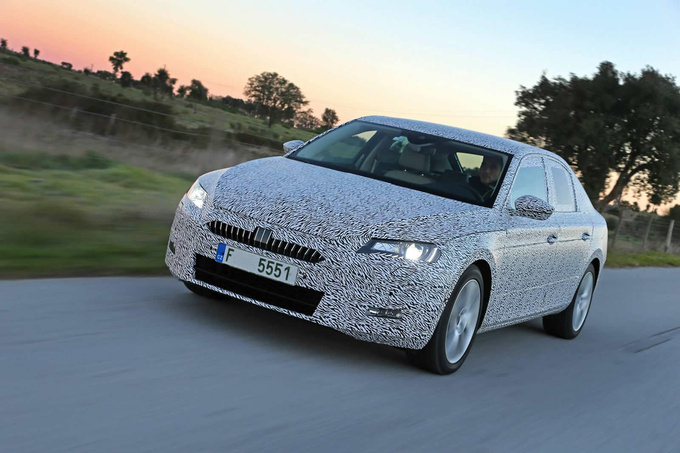 Drool over the pictures of the prototypes of the third generation Superb, the best Škoda ever, according to its maker. The flagship Škoda is due to arrive sometime in 2015, but the brand is already doing its best to hype it up. They have just released photos of the masked prototypes heralded with some very promising phrases. One of those is the claim that this will be the best Škoda ever, which may sound daring, but is not that impossible after all. Technically the model is based on the brand new Passat B8 and will probably even top that – the Czechs are likely to keep their good habit of building the Superb on the base of the long wheelbase Passat made for the Chinese market. 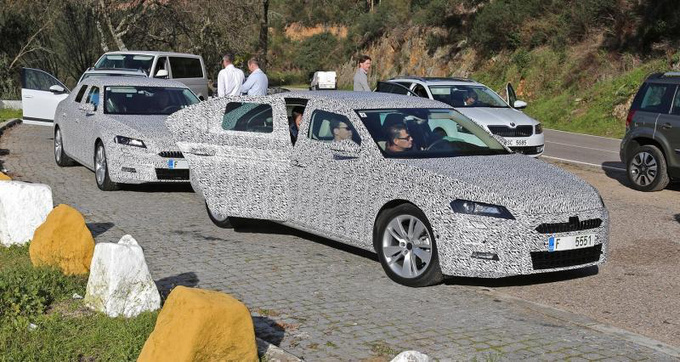 Judging by the spy photos it’s safe to say that the new Superb will receive a five-door body. Although the details have not been disclosed yet, the wheelbase is increased by 8 cm and the boot got 30 litres bigger and will have a volume of 625 l, according to the Czech press. The engine line-up will almost certainly be identical with that of the Passat and will include a 1.4-litre turbo petrol and a 1.6-litre turbo diesel engine. The model will come with either a six-speed manual or a DSG, and a 4WD variant is almost certain to be available, too. The new Superb will be launched next February, but we wouldn’t be surprised if Skoda kept leaking info to keep up interest. 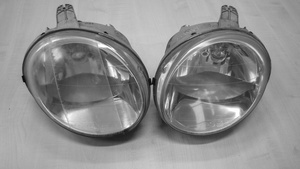 A cheap fix for your hazy headlight lens? Are your headlights hazy and matte?There are various ways to make your headlight bright and transparent again. We have tested some.